Climate scientists often make assumptions about large-scale growth in resource extraction without thoroughly referring to relevant studies in other disciplines. This is partially understandable given that they are not economists or political scientists. Yet I believe it is cause for concern. While criticising the pervasive obsession with infinite growth of our political and economic institutions, it appears that many (albeit not all) climate scientists hold the belief that human ingenuity will somehow substitute declining oil with different forms of natural-gas, liquefied-coal, shale gas, and other carbon fuels at prices that can sustain growth. For example, at the Cancun climate summit there was a paper by Professor Kevin Anderson that stated that “the only way to reduce global emissions enough, while allowing the poor nations to continue to grow, is to halt economic growth in the rich world over the next twenty years. There is compelling evidence that economic growth has already reached its global peak and that any strong return to growth (manifested by countries in the OECD or emerging economies such as China or India) will be met by a wall of triple-digit oil prices triggering another economic collapse. Continuing economic growth will also depend heavily on heavy fossil fuels, such as coal. 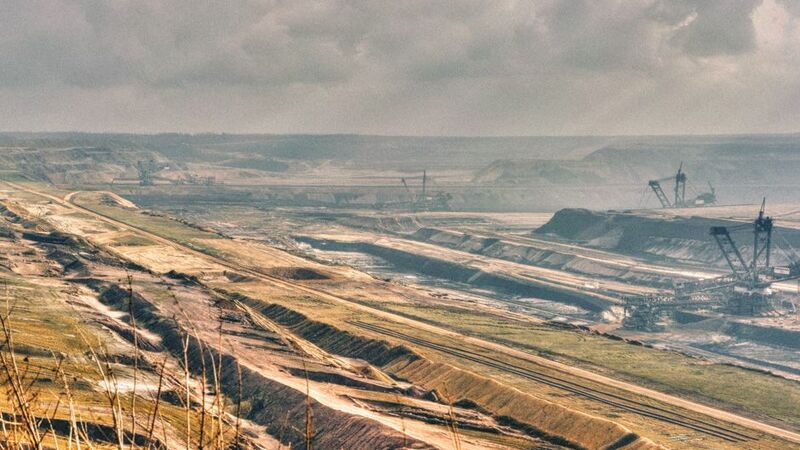 However, according to a study by Tadeusz W. Patzek and Gregory D. Croft, the world could also face peak coal in 2011, after which “the production rates of coal and CO2 decline, reaching 1990 levels by the year 2037”. This estimate of the peak is early compared to other studies predicting peaks over the next few decades, but the report authors claim that this is because the world will seek to consume the highest-quality and most accessible coal first and leave the less energy-dense and least accessible coal to burn later (and most likely only for certain critical economic/military sectors). The crucial point is that all our theoretically large supplies will not become economically viable because of a lower energy return on energy invested (or EROEI). This will ultimately have repercussions for economic growth and affordable prices. A piece written by Uppsala University physics professor Kjell Aleklett also criticizes the level of economic awareness of Intergovernmental Panel on Climate Change (IPCC) scientists with respect to coal. Cohen also mentions how CO2 emissions fell in the United States as a response to the recession, and they also fell in many industrialized nations in 2008 (albeit global emissions rose slightly overall due to Chinese and Indian growth), but with a global fall being confirmed for 2009. Importantly, any significant prospect of economic growth is likely to trigger another oil price-hike and another recession with its associated emissions declines. Obviously though, the emission declines are nowhere near enough to prevent growth in overall CO2 concentration in the atmosphere. It is hard to tell when such strong growth will occur once more. But what seems clear is that any strong increase in demand will quickly tell us that we are at the end of growth — particularly when we have a global derivatives debt that is almost 20 times the size of the world economy. These derivatives are basically a complex form of financial gambling and future risk-taking. They are part of our hugely problematic debt-based money system which seemingly insists on infinite growth; a perverse concept which violates the limits of our biosphere. A German think-tank also stated a few years ago that conventional crude oil peaked in 2006. And, when considering “unconventional” liquid-fuels as a possible measure to alleviate the impact of the peak in conventional crude, it is important to realise that there is no real evidence to suggest that these alternatives (such as Canada’s tar sands) can fill the gap at prices that we can afford to burn. Perhaps, it is worth highlighting here that speculative assumptions leave much room for error when it comes to mathematical modelling of a system that is highly dynamic and/or based on certain unknowns. Nevertheless, the current scientific predictions make it clear that we face a hostile climate in the coming decades. Many places are likely to become badly affected by higher temperatures with global average increases of between 2-2.8 degrees Celsius (assuming a rapid decline as depicted by the Hadley Centre). However, the triggering of any climate feedback tipping points may depend on human economic activities that are helping to perpetuate these mechanisms; and these activities in turn are dependent on affordable oil prices in a global economy. In the worst case, triple-digit oil prices and demand-destruction, political crises and wars, etc., will likely contract the GDP of industrial nations by a large amount. For example, a possible conflict with Iran could cause oil prices to soar rapidly. Also, the US Joint Forces Command 2010 report has warned that “surplus oil production capacity could entirely disappear” by 2012 as well as warning of potential energy-based conflicts. Unfortunately, these factors are not included in the climate change projections made by bodies like the IPCC. In a world of peak oil and of escalating political volatility, the fears and worries expressed by climate change scientists (such as those at the recent Cancun summit) concerning catastrophic climate scenarios, are looking less justified. However, as discussed above, a rapid decline in CO2 output can still potentially lead to a 2.8ºC global average temperature increase by the end of this century. Although, one could argue that even this level of CO2 growth may not come to fruition if conflicts break out over energy resources in the next few decades. This could end up forcing governments to ration energy to be used only for bare essentials. Better still, instead of waiting around for governments and businesses to move beyond their growth-fetishes, people can consider getting involved in the Transition movement as a way of empowering themselves in a world where large-scale economies can no longer operate. Why Are Climate Scientists Ignoring Peak Oil and Coal? by Hossein Turner is licensed under a Creative Commons Attribution-NonCommercial-ShareAlike 3.0 Unported License. Hossein Turner is a freelance writer with primary interests in geopolitics, macro-economics, energy and environmental issues. He is a member of CollapseNet, an online Peak Oil project. He also contributes to permaculture and Transition Towns groups in the UK. “Big Oil” is Top driven by Costs/Production; Safety-Enviro Stats; #Years of Reserves; Corporate Rankings vs Competition. Globalization has yielded Corporate Predation to the Rankest Degree stealing resources for the lowest Royalties while renumerating the host Countries and Labour to the lowest possible ammount. A review of Total Pay Packages for Oil Company Executives show where the “Real Focus” is and it is called Corporate greed. I only hope change in the form of the “Transition Movement” displaces the Corporate elite of the present regieme. In the Japanese version of this article, Mr. Noriakioba has shared a list of interesting studies relevant to this article.NASA Study Illustrates How Global Peak Oil Could Impact Climatehttp://www.nasa.gov/centers/go… Future coal production outlooks in the IPCC Emission Scenarios: Are they plausible? http://www.tsl.uu.se/uhdsg/Pub…Professor David Rutledge　http://rutledge.caltech.edu/　COAL: RESOURCES AND FUTURE PRODUCTIONhttp://www.energywatchgroup.or…Thank you, Mr. Noriakioba! The data provided in the above links would help people to make an informed decision to get involved in the Transition movement.